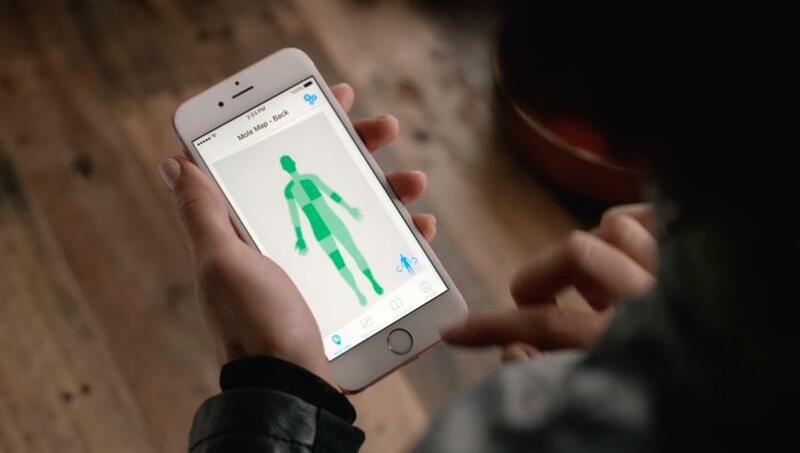 ResearchKit software lets people create health care applications on phones. In March 2015, Apple promised to change the way medical research could be done. It launched ResearchKit, which could turn millions of iPhones around the world into a “powerful tool for medical research,” the company said at the time. ResearchKit is software that gives would-be app developers a library of coding to create health apps on the iPhone and Apple Watch. And it has spawned a number of studies: One team created an app to track symptoms of Parkinson’s disease; another a screening protocol for autism, while a third tracks changes in the moles people have on their skin. Many of these apps have been downloaded tens of thousands of times. “Virtually overnight, the research studies that we launched became some of the largest in history,” Jeff Williams, then Apple’s senior vice president of operations, said at an Apple event in March 2016. But much of that early research wasn’t clinical in nature; rather it simply studied the feasibility of using mobile apps to collect health data. Now, however, ResearchKit seems to be on the verge of becoming medically useful. In recent months scientists have published new data on seizures, asthma attacks, and heart disease using the platform. And scientists are already looking ahead to the next milestone: hacking our ubiquitous mobile devices to become potentially lifesaving medical monitors. For epilepsy patients and their doctors, precise answers to standard questions can be hard to get. How many seizures happened in the last month? How many doses of epilepsy medication were skipped? Some patients go by memory, others keep journals or charts. But participants in a recent Johns Hopkins study were the first to use a ResearchKit app to track their seizures, with the data going to Dr. Gregory Krauss and his colleagues. For the past two years, Krauss has collected data from participants before, after — and even during — seizures. If the users think they’re about to have a seizure, they can open the app on their watch and begin tests that measure their memory along with their state of awareness. If they stop responding to the test, they’re presumed to have lost awareness until they start responding again. That data is coupled with heart rate and accelerometer data. The team’s results were the first to use surveys taken immediately after seizures to document epilepsy triggers — a feat impossible with previous research methods. Sleepless nights, missed medication doses, and stress were all found to contribute to the likelihood of seizure, according to data presented at the annual meeting of the American Academy of Neurology on April 27. Researchers plan to submit the data for peer-reviewed publication and join just a handful of other ResearchKit teams who have published. before the terrifying — and potentially dangerous — event sets in. The EpiWatch app, running in the background on a smartwatch, would use physiological data to detect a seizure and alert its wearer. Meanwhile, other studies using the ResearchKit software are making their way through publication and adding to the scientific literature. The MyHeart Counts app, for instance, studies the impact of physical activity on heart health, and preliminary results were published in JAMA Cardiology in January. More than 20,000 people sent data about their movements to researchers, and about 4,900 people completed a six-minute walk test, an oft-used measure for fitness. The data showed that nearly two-thirds of participants were stationary for half of their day, and those among the least active had higher rates of cardiovascular-related illnesses. Another team at the Icahn School of Medicine at Mount Sinai in New York City published data from its asthma app in March in Nature Biotechnology. Their findings confirmed that more asthma attacks happen in the summer than in spring, and that air quality affects symptoms. The size and speed of data collection in these studies are pretty unbeatable. “I think it would be very hard to do the research without ResearchKit,” said Krauss, the epilepsy researcher. “We’re able to study people in a large range of ages and a large number of different types of seizures across the entire US quickly.” So far, his team has analyzed data from nearly 1,000 participants. One segment of the Mount Sinai study included more than 2,000 people — about as many adults with asthma as the Centers for Disease Control and Prevention reached during its 2015 National Health Interview Survey. Moreover, the Mount Sinai study could gather data from the same individual over several days, said professor Pei Wang; each person took the CDC survey only once. Despite those advantages, ResearchKit faces two major hurdles. First, because participants register from their personal devices, they have to have been able to afford an Apple product such as a smartphone or a smartwatch. So many low-income individuals would be less likely to participate in these research studies. Secondly, research done on ResearchKit may suffer from a broader diversity problem. The researchers STAT spoke to said they were satisfied with their sample populations but noted that some “techie” cities and regions, such as San Francisco, had particularly high numbers of participants. Though the asthma study had about the same geographic distribution as the those in the CDC survey, its cohort was younger, wealthier, more educated, and more male. Participants were also less ethnically diverse. Only 5 percent were black, while about 14 percent of all adults with asthma are black, according to the CDC. This sampling problem has a few possible solutions. Mobile device prices might get cheaper; groups could donate more devices for research participants; or, developers could just make the apps work on more types of devices, such as Android phones. Expanding to Android might do more than just widen the pool of people able to participate in studies — it could also expand the types of data researchers could collect. “The Android operating system allows researchers to easily get access to information about how people are using their phones,” said Lara Mangravite, president of Sage Bionetworks — including, if the user consents, call logs, and Internet-use data. The latter could be harnessed in surprising ways. For instance, Mangravite said, since people read on their smartphones in the bathroom, combining Internet-use data along with GPS information might help an algorithm predict when someone is having a flare of irritable bowel syndrome. Kate Sheridan can be reached at kate.sheridan@statnews-.com. Follow Kate on Twitter @sheridan_kate.